Click here for a full list of spaces available for rent. We offer strategic opportunities for businesses to focus on their core activities by divesting their real estate holdings through a sale and leaseback arrangement. This means that we will acquire properties you currently own and then lease them back to you over a long period of time. Such a move will enable your business to free up time, capital and resources while continuing to enjoy the use of your properties. Axis-REIT has now begun to embark on build to suit development projects which enhance the growth of the fund. Our first built to suit development was completed in 2018. Axis-REIT entered into an agreement to build a 515,000 sq. 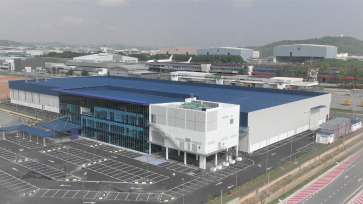 ft. distribution center for Nestlé Products Sdn Bhd in August 2016. This marked Axis-REIT’s maiden foray into the world of property development. Construction commenced in December 2016 and was completed on time for handover in January 2018. 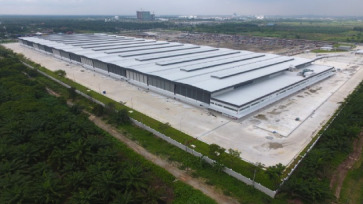 In November 2017 the REIT entered into an agreement to develop a built-to-suit industrial manufacturing facility for Upeca Aerotech Sdn Bhd near Subang Airport, Selangor. Construction of the facility commenced on the first half of 2018 and took approximately seven months to complete. The property was handed over to Upeca in February 2019.